From the kitchen to the bathroom, a clogged drain starts as a minor nuisance, but it can quickly escalate to a full-blown catastrophe. While gentle plunging or manually removing the obstruction can sometimes solve the problem, clogged drains with standing water are another deal entirely. The DIY handyman within may try to rectify the issue at hand, but oftentimes your lack of expertise will make this process difficult. The next time you have a clogged drain with standing water at your home, here are some tips on how to fix it and when it’s best left to professionals. What Causes a Clogged Drain with Standing Water? Clogged drains have numerous causes, but each manifests itself over different lengths of time. In the bathroom, hair, dirt, and soap can generate a fair bit of buildup, especially if you have a larger family or an influx of guests for a special occasion. Causes of kitchen draining problems can include food waste, grease, and items that can’t be broken down by a garbage disposal. Other times, clogged drains are out of your control. Tree roots can damage your pipes and obstruct water flow, while hard water and insoluble items and can result in mineral buildup. These two conditions are far easier to diagnose and usually require the help of a professional. When you have a clog, your first instinct is to go to the hardware store and purchase a liquid chemical drain cleaner. These cleaners work wonders on small clogs, but they also have several downsides. Liquid drain cleaners don’t always work on every pipe, and their harsh chemical makeup can actually corrode your pipes after just a few uses. On top of that, it’s also toxic and harmful to the environment. Although tempting, leave the chemical drain cleaners on the shelf. If you’re in a pinch or short on time, there are some DIY solutions to help you fix a clogged drain. For minor clogs, pour vinegar down the drain followed by baking soda. This combo will create fizzing action that will remove some debris. Using a plunger and dumping boiling water down the drain is also proven to eliminate some clogs. When you’ve tried the DIY options to no avail, it’s time to call the experts. Not only can they diagnose the problem, but they can provide several options to clear the clog. Commercial-grade plungers used by pros can take care of some clogs, but powerful tools such as a snake or an auger are the only viable solutions for clogs that are deep within your plumbing system. Most often, these deep-rooted clogs are the main source of standing water or recurring clogs. If that still doesn’t clear up the problem, our plumbers can use hydro-jetting technology, which shoots a high-strength burst of water through the pipes to help remove any obstructions. 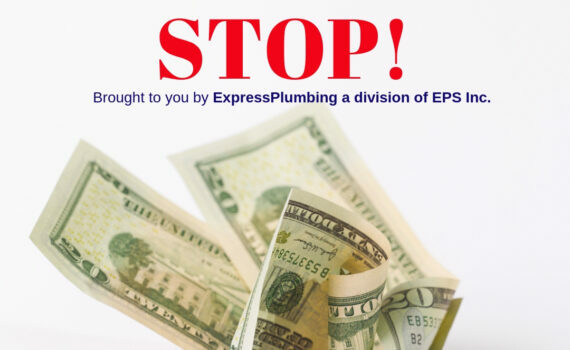 Express Plumbing is a division of EPS Inc. in the Bay Area. Our team of plumbers will provide you with an estimate prior to completing any project. 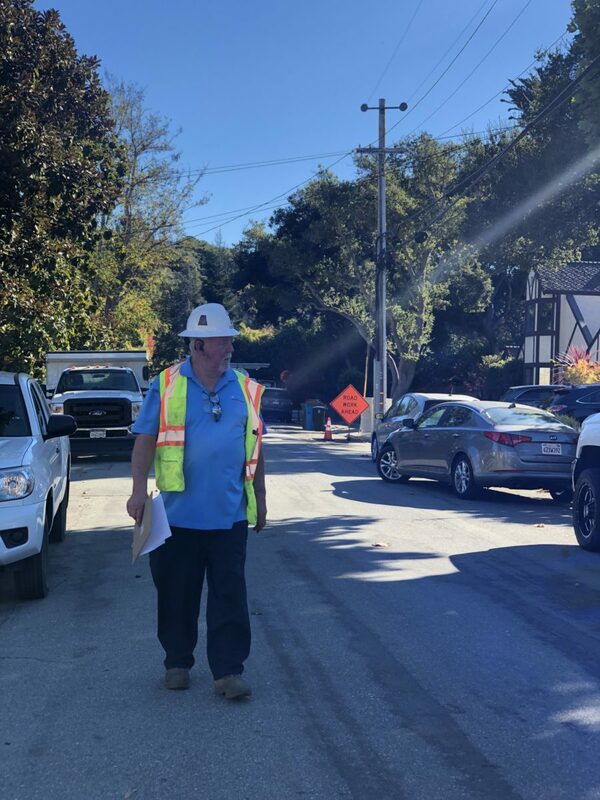 If you’re interested in complex underground construction services, visit our civil engineering division in the Bay Area for more information. Don’t let a clogged drain and standing water make everyday life a pain. By knowing what causes clogs, some easy home remedies, and when to call a plumber, your water is free to flow throughout your home. Complex construction projects require the expertise, experience, and planning that only an infrastructure engineering firm can provide. Similar to civil engineering, infrastructure engineering coordinates, designs, and maintains various aspects of a construction project, with many of them highly specialized in water and sewage systems, drilling, and underground construction. Like any other construction or engineering firm, you want the most reputable and experienced company you can find without breaking the bank. On your next construction project, put a priority on these qualities in your infrastructure engineering contractor for stellar results. Infrastructure engineering is a relatively new aspect of commercial, residential, and municipal projects, giving only a handful of contractors the necessary experience to get the job done without any hiccups. EPS inc has the skills and knowledge in infrastructure engineering and we are more apt to handle the planning, permits, and other pre-construction facets without wasting valuable time or getting behind schedule. Once the project begins, we have the solutions and manpower to stay on task. 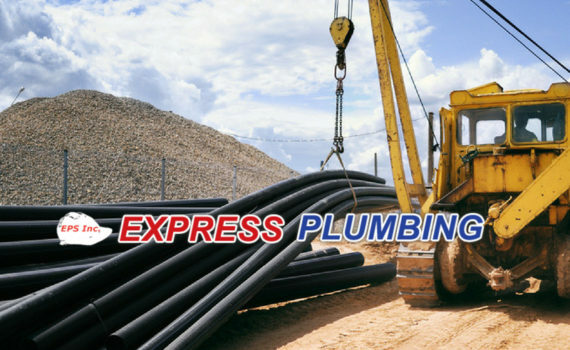 EPS Engineering has been serving the Bay Area for multiple decades, we specialize in heavy construction, civil engineering, and underground construction plumbing no matter how large or small the project is. Because infrastructure engineering is in its infancy, many civil engineering firms are building teams to deal specifically with this new industry. While this may present a perceived lack of experience in infrastructure engineering, a company with a storied and reputable past in civil engineering is a solid choice for all your infrastructure needs due to their similarities. By selecting a company with proven civil engineering experience, you can effectively increase the success and quality of your development plans. Before you hire an infrastructure engineering contractor, it’s crucial to determine if the company has applicable licenses and permits to complete the job. Depending on the scope of the plans and project, you should check for state, city, county, or municipal permits that verify the company has registered with the appropriate government agencies. Failure to double-check these permits can result in construction delays that can derail or even bankrupt a project. At EPS, we work with all local municipalities, understand local jurisdiction requirements and not only meet but exceed any stringent requirements. Even the most qualified infrastructure engineering contractor doesn’t guarantee a successful construction project. This type of engineering has many areas of specialization and expertise, making it vital to see a portfolio of relative experience. When you need someone to design and execute a plan for water, sewage, underground plumbing, and drilling, you should search specifically for prior experience in those fields. Contact us and speak with Nick Bechwati to view a wide range of hundreds of projects completed in the Bay Area. Although other engineering firms may have the tools to complete these tasks, an experienced firm can provide quick solutions to unforeseen problems, forecast a proper budget, and adhere to your guidelines. The right personnel and equipment are tantamount to success in a construction project. Without an experienced, licensed staff and the right equipment, your infrastructure engineering contractor will cost you more than you had anticipated. If you have to find extra workers or rent equipment for your contractor, it may be a sign that they won’t deliver on their promises or at the price quoted. 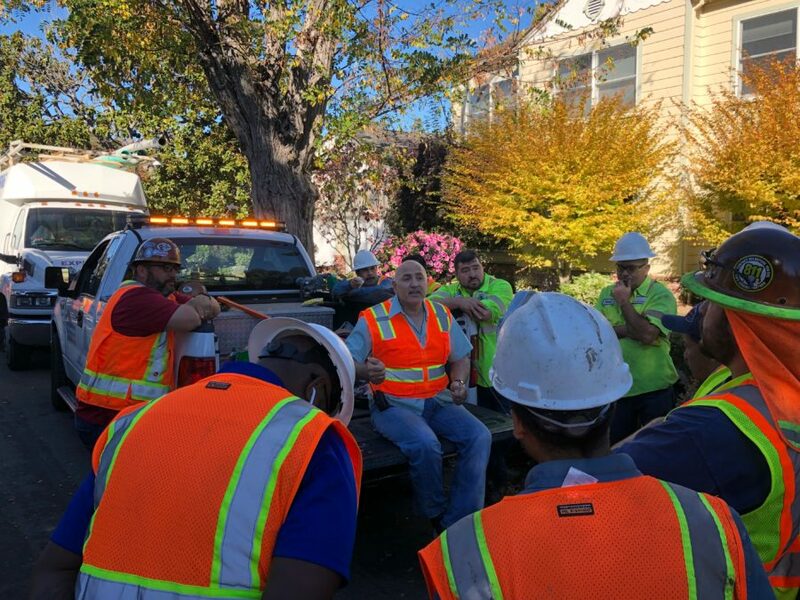 We hire the most qualified, licensed staff, and have equipment other contractors rely on in the Bay Area when they need it. Regardless of the size, scope, and difficulty of your construction project, as your ideal infrastructure engineering contractor, EPS will find solutions to problems so you don’t have to. Contact Nick Bechwati for more details. With the right partnership, you can focus on other areas of the process to stay on schedule, impress investors, and maintain profitability. With any luck, you’ve gone another year without any plumbing mishaps. No leaks, bursts, backups, or overflows have damaged your home, and as the year draws to a close, it’s time to give something back. Before the hectic time around Christmas and New Year’s, follow these end-of-year household plumbing maintenance tips that are sure to keep your fixtures and pipes running like clockwork. You may think only of your sink, washing machine, or bathroom when it comes to plumbing, but don’t neglect the outdoors. The first step to maintaining your outdoor plumbing is to remove all of your garden hoses. If exposed to the elements, the water in the hose can freeze and expand, causing significant damage to interior pipes and fixtures. Make sure to disconnect these hoses, turn off the shut-off valve, and drain any excess water. One of the costliest plumbing repairs occurs when a pipe bursts in the home. This can cause excessive flooding and damage that can drain your emergency savings account. However, the problem is avoidable. Wrap any exposed pipes in your basement or crawl space with foam pipe insulation. Available from hardware or plumbing supply stores, this foam insulation keeps your pipes’ temperature above the freezing point. Whether you’re cooking for 10 or 100 during the holidays, your kitchen goes into overdrive. Your stove, oven, and dishwasher can usually handle the extra workload, but pay attention to your garbage disposal. These three items can gum up your garbage disposal, rendering it inoperable when you need it most. You should keep coffee grounds, egg shells, and bones out of the garbage disposal to increase its longevity. Running only cold water also helps the device from overheating. If you still run into problems, a trained technician is the only surefire way to repair the issue. You might notice an occasional drip of water coming from your sink or bathtub, but it doesn’t motivate you to fix it. That said, even a slow drip can add up. Just one drip per minute can add up to 34 gallons a year, wasting tons of money and freshwater in the process. Drips in other places such as the basement or utility closet can also cause water damage that further drains your bank account. If you notice a leak or drip, the end of the year is the perfect time to fix it so you can start fresh come January 1. Although some of these are easily fixed with the turn of a wrench, don’t hesitate to call a plumbing professional if the problem is over your head or outside your DIY expertise. With gift buying, parties, and New Year’s resolutions, you have plenty to worry about at the end of the year. Don’t add a plumbing disaster to the list. By following this checklist, you’re assured of a pristine plumbing system that won’t let you down. 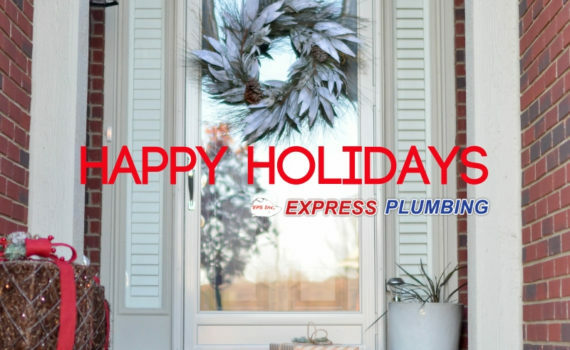 All of us at EPS Inc. Express Plumbing wish you and your family a very happy holiday season, free from plumbing disasters and lots of cheer. Thanksgiving is one of the most exciting times of the year. You invite friends and family into your home to celebrate what you’re thankful for while feasting and drinking to your heart’s desire. Unfortunately, the added company can also wreak havoc on your plumbing and home sewer system. Follow these easy tips to avoid Thanksgiving plumbing issues. If you’re Eco-conscious, throw all of the organic items you can’t put in the garbage disposal into a separate container. Together, the vegetables, fruits, coffee grounds, and other leftovers make one amazing compost that’s perfect for the garden. Everyone has their own habits when it comes to the bathroom, but don’t let that prevent you from being the supreme ruler of the commode and shower. Space out showers at least 15 minutes apart to allow the drains to clear. Put up a sign that informs others that only toilet paper can do down the toilet, and if you have any hints of plumbing issues involving your flushing mechanism or a float, fix it before the holiday. By following these two simple rules, the chances of a sewage backup go down exponentially. Modern websites like Wikihow and YouTube have turned generations of bashful DIYers into proactive versions. In a perfect world, this means you could fix your plumbing just by watching a video or reading a short excerpt from a book. In reality, you could mess up your plumbing to the point of no return. Ignore Mr. or Mrs. Fix-It inside your head, and leave the problem to a professional. If you notice some warning signs of plumbing issues such as slow draining sinks or showers, leaks, low water pressure, or a lack of hot water, tackle the problem immediately. A call to a licensed plumber before Thanksgiving is a surefire way to fix the issue and eliminate it at a fraction of the cost. Procrastination only exacerbates the problem and leads to further repairs and costs down the road — just when you’re saving up for Black Friday. Some home plumbing and sewer issues are unavoidable, but with just a bit of forethought, you can avoid a Thanksgiving plumbing meltdown. That’s something you can definitely be thankful for. 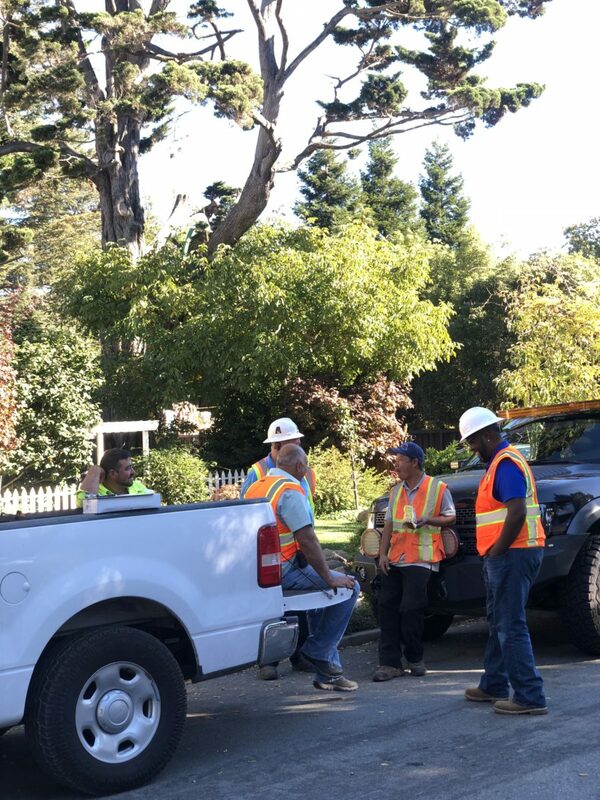 Our crew of experienced plumbers have been serving the Bay Area since 1989. Got a question? Give us a call or send us a message. 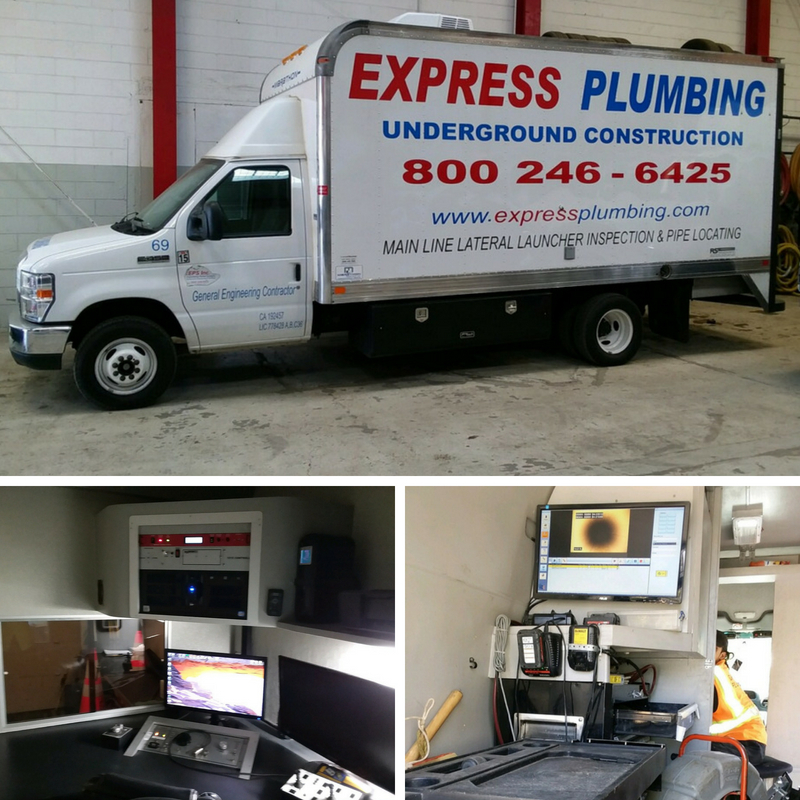 EPS Inc dba Express Plumbing provides underground utility construction and maintenance in and around the Bay Area. Our underground utility division is considered a one-stop-shop that eliminates the need for hiring multiple contractors. Underground construction has been around for years, from underground tunnels, to earth shelters, it’s nothing new. However underground utility construction relates to cables, tunnels, and pipes underground that require replacement, repair, or new installations. Major underground pipelines may involve utility power lines, communication lines, water, and sewer. EPS Inc specializes in installing, repairing and maintaining these underground lines quickly and efficiently using advanced equipment and techniques. Underground line mapping allows us to identify possible buried cable and pipe under the ground. Our engineering services are relied upon by municipalities, developers, and other industries to relocate the pipes, install new sewer systems or water systems, run power or telecommunication cables, all below the ground we walk on. We are also the Bay Area’s underground emergency response team. 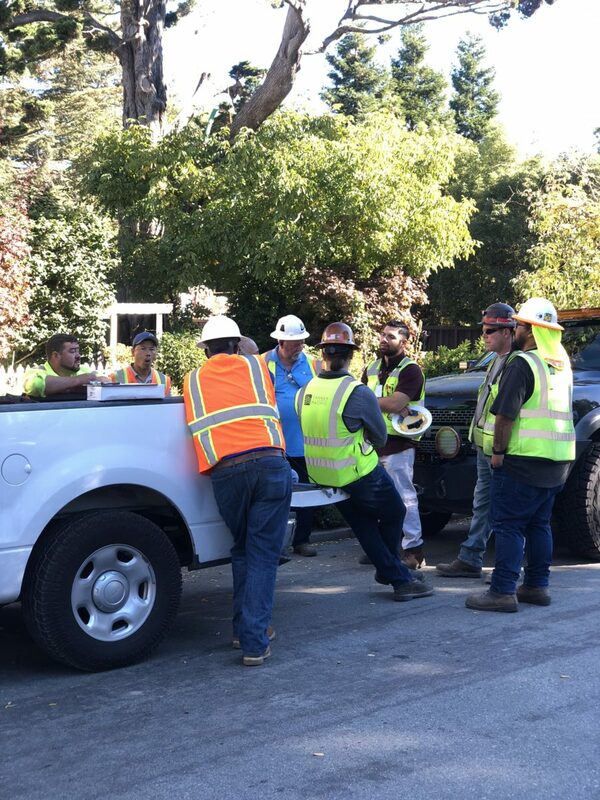 The EPS team works on emergency water breaks and sewer stoppages no matter when they happen. We operate 24/7 including holidays and weekends to resolve any underground system deficiencies. Our motto at EPS is simple, there are no problems, only solutions. Our engineering capabilities, advanced equipment, coupled with years of experience in providing underground utility construction services for the commercial, residential and municipal sector means you only deal with us as your underground utility contractor, not multiple entities. We only hire the most experienced, reliable, and competent crew the industry has to offer. 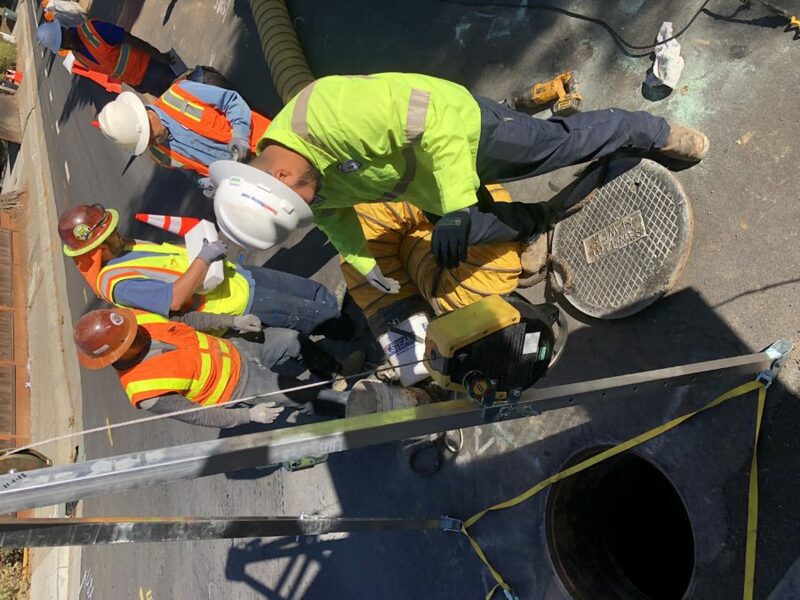 Our underground utility crew provides maintenance support and new installations for water systems, sewer systems, telecommunication, power, and more. Safety is always our top priority and every project we take not only meets but exceeds the most stringent requirements. Since 1989, we’ve been providing underground utility construction solutions that are reliable, accurate, and efficient. Our completed underground utility projects in the Bay Area speak for themselves. 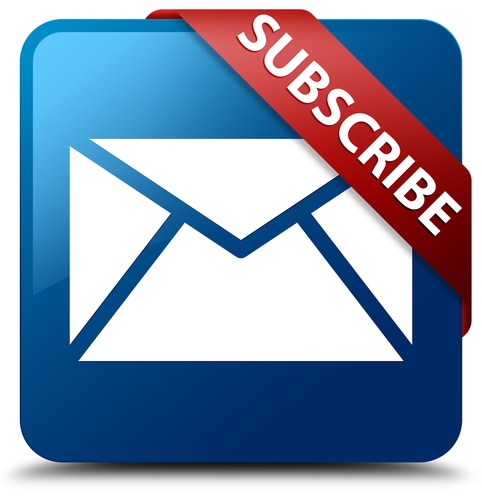 To discuss possible upcoming projects, contact Nick Bechwati for an on-site meeting and project outline assessment. If you own a home or business and you’ve been receiving a high water bill lately, you’ll more than likely have a leak and need a pipe repair or replacement done quickly! Not taking care of leaks right away will only increase those bills, so there’s no time to waste and you’ll need a plumber that acts fast. 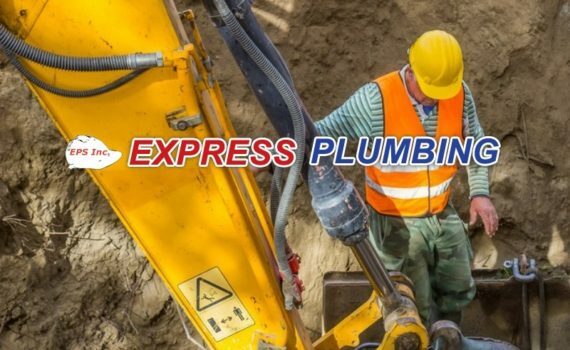 EPS Express Plumbing is a Bay Area pipe repair and replacement expert. We offer solutions that meet budgets and deadlines. First thing we will do is evaluate the situation and provide you with a FREE no obligation estimate. The cost will obviously vary whether it’s a repair or a complete replacement. 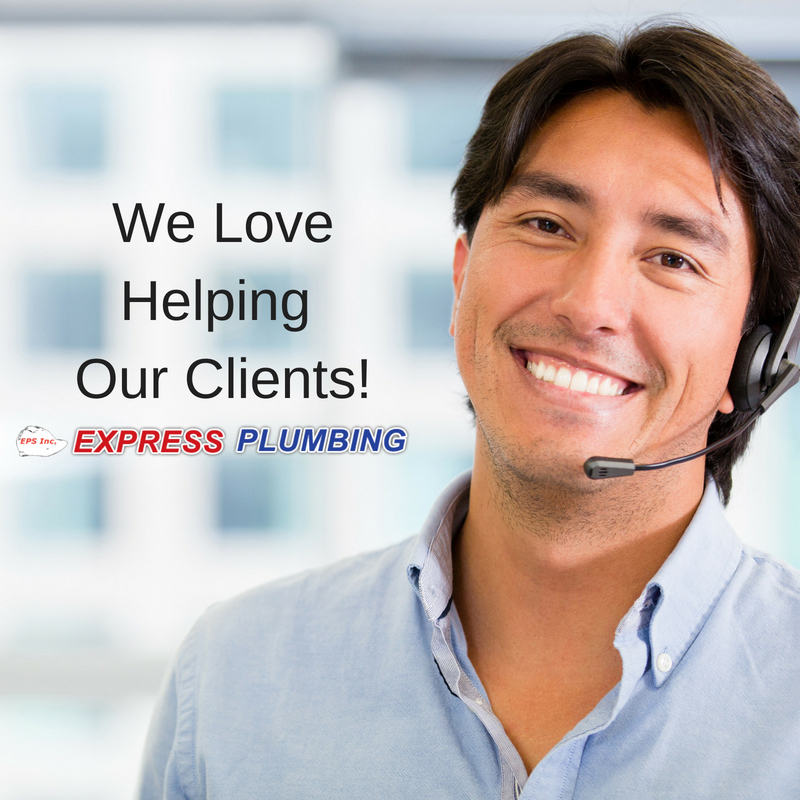 Unlike other plumbing companies, EPS doesn’t have to get to the pipes by digging up your lawn, tearing down the walls, or floors. We simply choose one access point and give you a cost-effective pipe repair or replacement without leaving a mess behind. If the area is dug up just to locate a pipeline, just imagine the added cost to get it back to normal. 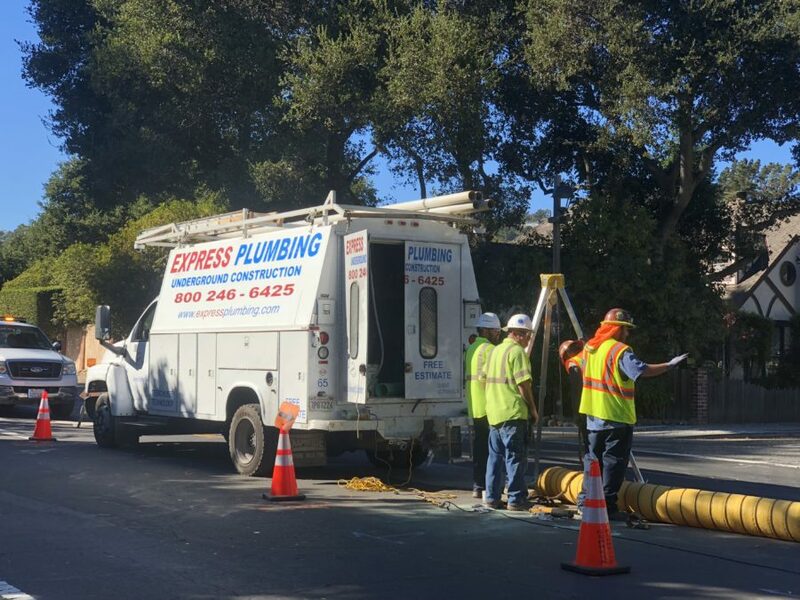 Our pipe repair or replacement services are offered to residential clients, businesses, and municipalities throughout the entire Bay Area. 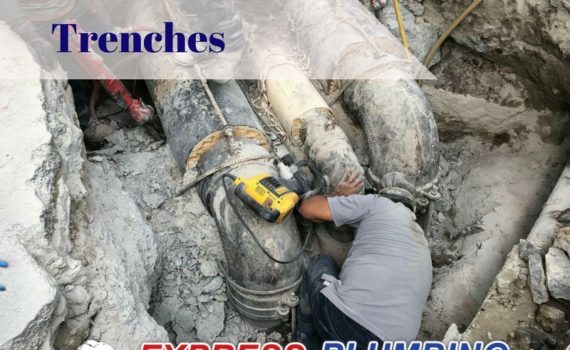 We’ve been repairing, installing, and connecting pipes since 1989. We have dedicated equipment and an experienced crew to get the job done quickly. The faster it’s done, the less expensive it is for you as the client. Depending on the size of the project, many of which can be done in one or two days. 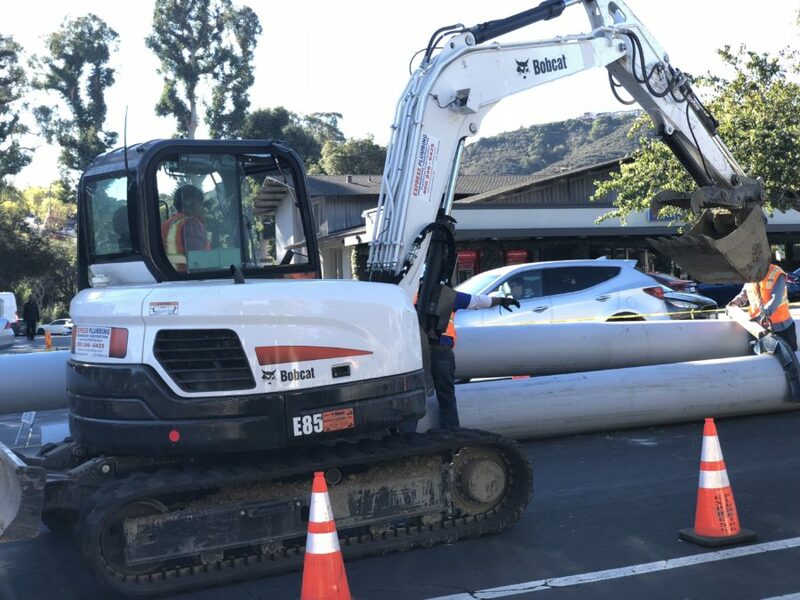 Check out our recently completed pipe repair project in Daly City, using the trenchless pipe reaming technique on 1700 feet of 18” High Density Polyethylene pipe installed through the existing old 12” vitrify clay pipe. 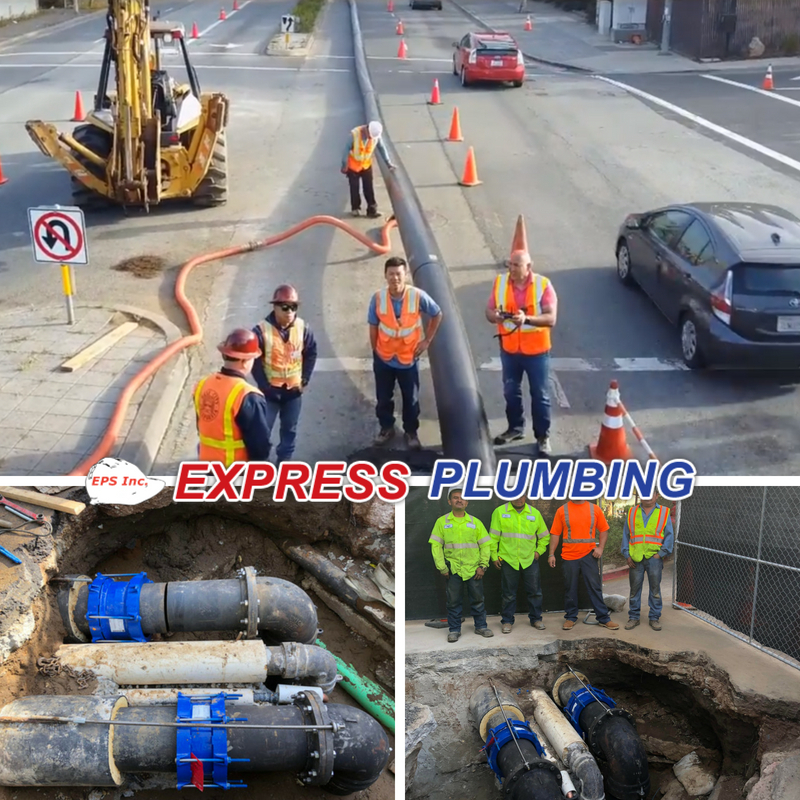 No matter what size project you need our Bay Area underground pipe repair team for, EPS Express Plumbing is eager and ready to help. You can always rely on us to provide you with simple, cost effective, and long lasting trenchless pipe repair, and pipe replacement solutions. 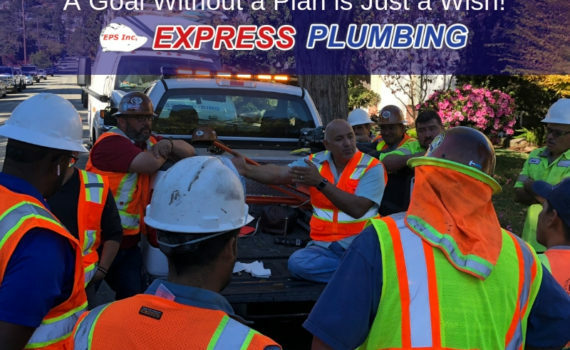 EPS Express Plumbing is the #1 referred building, engineering, and plumbing contractor in the Bay Area among homeowners, business owners, builders, and municipalities. Don’t let a small leak turn into a plumbing disaster, contact us quickly. We operate 24 hours a day, 7 days a week including holidays and weekends, and consider ourselves the Bay Area’s emergency response team. 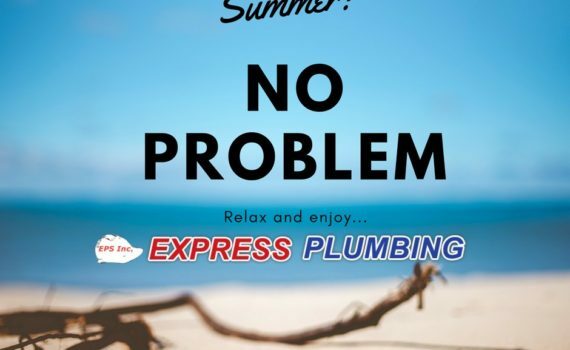 Fun in the sun isn’t enjoyable if you’re having to deal with summer plumbing problems! While you’re getting ready for a trip to the beach, a backyard BBQ and evening parties, if you’re a homeowner in the Bay Area, you’re never worry free. There are always issues around the house, and plumbing issues are one of them. Let’s get you prepared. With swimming comes more showers, with kids out of school, the toilets will be working double time. Talk with your kids and explain proper use. If you’ve got teenagers discuss the things they should NEVER put down the toilet to avoid clogs. For the shower drains, it may be a good time to invest in a drain plug to catch all the hair. Keep a plunger handy, just in case they do get clogged, and give us a call if you ever need our residential plumbers anywhere in the Bay Area. Swimming, sports, showers, only mean that your washing machine will be working overtime these summers months, to prevent washing machine hose leaks, check them often and replace them before they begin leaking in order to avoid a leak in the house. Plumbing issues can come from anywhere, you can’t stop them all, but with a little attention to detail, one can avoid a few plumbing problems from becoming bigger disasters. 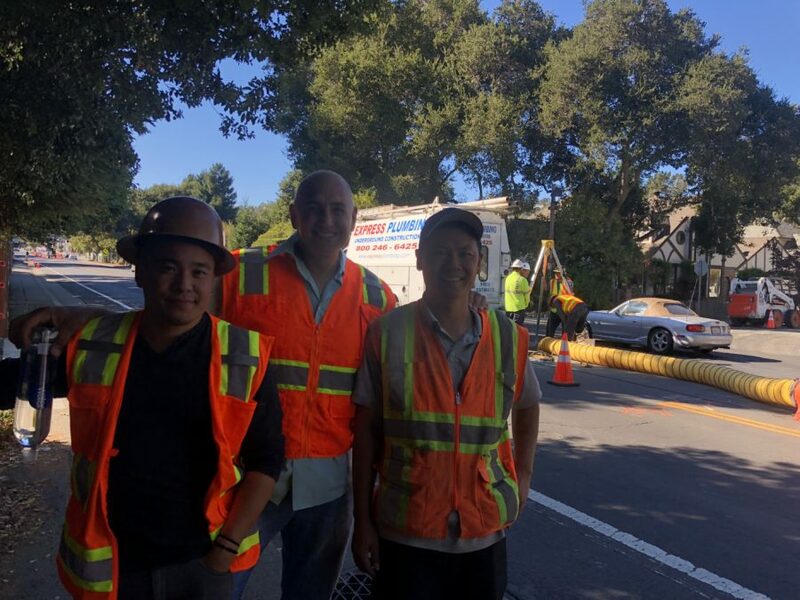 We are the Bay Area underground sewer experts because we get called for sewer repair and sewer replacements on a daily basis, so we know this can happen, and it does! Whether the roots from trees expanded during the wet winter months and found their way into the sewer line or the collection of residue and hair has finally reached maximum capacity, avoid sewer line problems by not only installing drain plugs in the summer but all year long. If you have a sewer issue, minimize the repair by hiring our trenchless “no-dig” plumbers. We have the equipment and expertise to handle any sewer and underground pipe repair without digging. The process is efficient, minimizes the disruption to the ground above, thus the cost and time to repair is much less. Summer is meant to be enjoyable, follow these small tips to enjoy the kids being out of school, have outdoor fun without having to deal with plumbing issues that will drain your excitement. 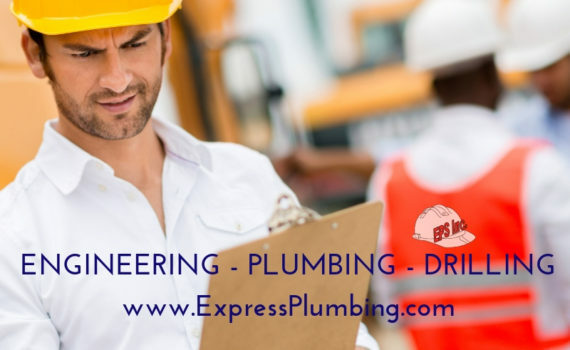 We at EPS Express Pluming enjoy helping our Bay Area community and are called upon by commercial, residential, and municipal clients to provide engineering, plumbing, drilling, and building services when they need it. 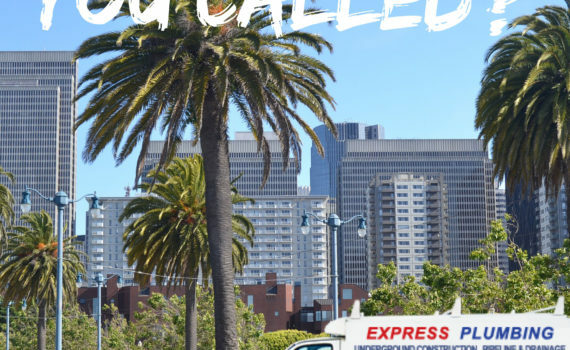 We’ve been serving the San Francisco Bay Area since 1989. We look forward to helping you when you need us most 24/7 including holidays and weekends.